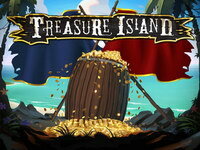 Treasure Island is a pirate themed virtual slot machine made by QuickSpin. 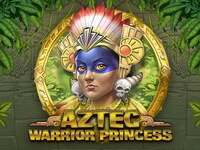 It is an online 5-reel slot that includes pirate symbols like compass, TNT barrel and buccaneers. The bonus chasers will really get what they are after with the Pirate Attack Bonus, Treasure Hunt Bonus, and a multi-feature Free Spin Bonus. These features combined with the Stacked Wilds will ensure some massive wins and great entertainment value. Treasure Island is the most feature rich video slot to date, filled with adventure, excitement and massive wins. 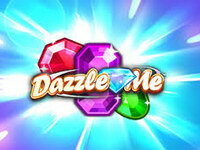 Treasure Island is a 5 reel, 4 row, 40 bet line video slot. 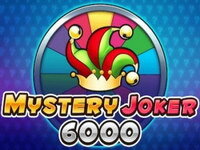 The game features the random triggered Pirate Ship bonus, Treasure Hunt Bonus, Island Hop, and Free Spins with multiple features. 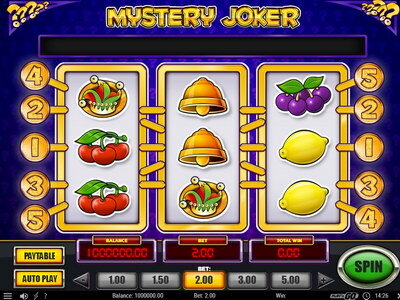 Video slots are very easy to play. Just follow these 3 steps: Choose your total bet, press the SPIN button and check for any win in the WIN field. 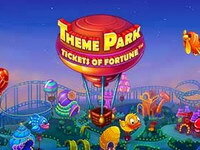 Experience all the fun of the fair with Theme Park: Tickets of Fortune. Collect your tickets at the fair stand and head off to play your favorite fair games like duck shooting, punch the bag or sledgehammer. 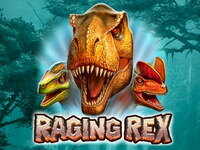 Six theme park bonus games, a stacking wild and sky-high multipliers are all speeding down the reels straight towards you.